Started seven games and appeared in 11 before suffering an injury to close the season… Converted from quarterback to tight end in fall camp… Registered 303 yards receiving on 22 catches and three touchdowns, including a career-long 54-yard touchdown reception… Blocked for RBs Alex Collins and Jonathan Williams, who were the only FBS teammates to each rush for 1,000-plus yards in the 2014 season… at No. 6 Auburn (Aug. 30): Tallied 40 yards on four receptions, including a 17-yard touchdown catch… vs. No. 6 Texas A&M (Sept. 27): Hauled in second-career touchdown from 44 yards out and accrued 58 yards receiving… vs. No. 7 Alabama (Oct. 11): Earned CFPA Tight End of the Week Honorable Mention after capturing a career-long highlight-reel 54-yard receiving touchdown and tallied a career-high four receptions for 77 yards. Started once and saw action in seven games as quarterback … Finished the year 19-of-36 passing for 178 yards and one touchdown with a pass efficiency rating of 97.92… at Rutgers (Sept. 21): Made first career start and went 14-of-26 passing for 137 yards, including a career-long 18-yard pass. … vs. Southern Miss (Sept. 14) Debuted as a Razorback and went 4-of-6 with 36 yards passing and 10 rushing yards while leading the Razorbacks to a 24-3 victory… vs. No. 8 Auburn (Nov. 2): Was 1-of-2 for five yards. 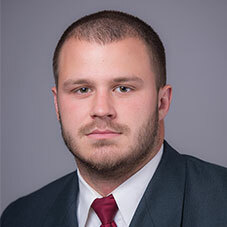 Helped lead Coffeyville to the Region IV semifinals, completing 149-of-321 passes for 1,936 yards and 22 touchdowns… Coached at Coffeyville by Aaron Flores. Played in nine games and completed three passes for a total of 30 yards. Worked with the scout team while redshirting. Earned first-team all-state honors following junior and senior seasons…Led City to the state championship as a senior… Participated in the Army All-American Bowl and Hawai’i vs. Mainland All-Star Game following senior season… Completed 98-of-187 passes for 1,820 yards and 23 touchdowns while adding 752 yards on 142 rushes as a senior… Went 77-of-136 passing for 1,197 yards and 11 touchdowns and rushed 168 times for 1,064 yards and 13 touchdowns as a junior… Also played basketball and baseball, helping the basketball team win the state title as a sophomore… Coached at City by Dan Sabers. Born Sept. 20, 1991, and is the son of Kelly and John Derby… Father lettered at Iowa from 1988-91 and played in the NFL for the Detroit Lions and Cleveland Browns… Brother Zach lettered at Iowa from 2010-11… Uncle Glenn Derby played at Wisconsin and was an offensive lineman for the New Orleans Saints in 1989-90… Graduated with a degree in economics.